ADVANCED MOVING SPACES. “The Future Travelling of Luxury Lifestyle”. 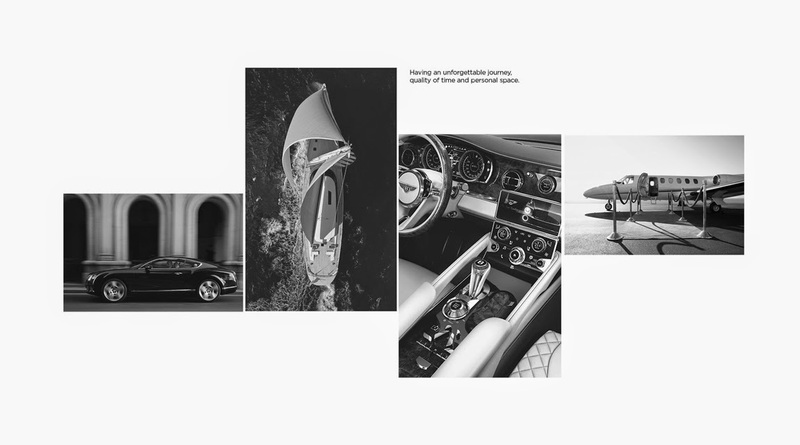 Bentley Panache Concept – Towards Sustainable Luxury. The future luxury is a new vision of exclusivity segment in the world that not even produces in the market and never makes it in a long period. The definition of luxury itself is indulgence, comfortable, sumptuous life, and luxury of independence. Most of wealthiest community willing to have a luxurious car, private sailing boat and personal private jet for having an unforgettable journey, quality of time and private space either travelling in long and short destination. Unfortunately, this desirable and greedy which never fulfilment towards luxurious lifestyle cause the world, human- being and environmental changing dramatically. The humanity factor and population hierarchy obviously affect unbalanced graph between high class and middle class society. By the way, some of well-known organisation such as Google and Gucci, they show a positive way to be sustainable as a solution for contributing the bright future. Google created solar farm that moves them closer to being 100 percent generating a clean energy and even Gucci become sustainable by reducing a natural target for animal rights activists towards environmental campaigners. 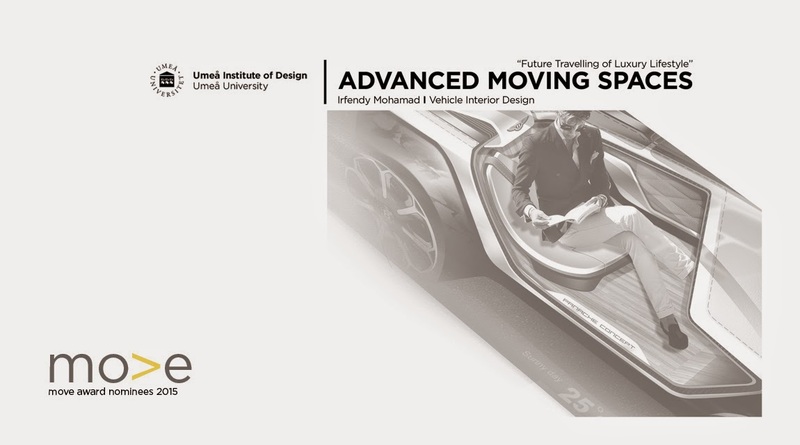 My goal is to design an autonomous private vehicle for superior and exclusive young customer that willing to practice a sustainable luxury lifestyle for inspiring others to be equal and encourage the society surround that’s not only expecting a sumptuous life and style but hold hand together to be environmental friendly and responsible for the future. 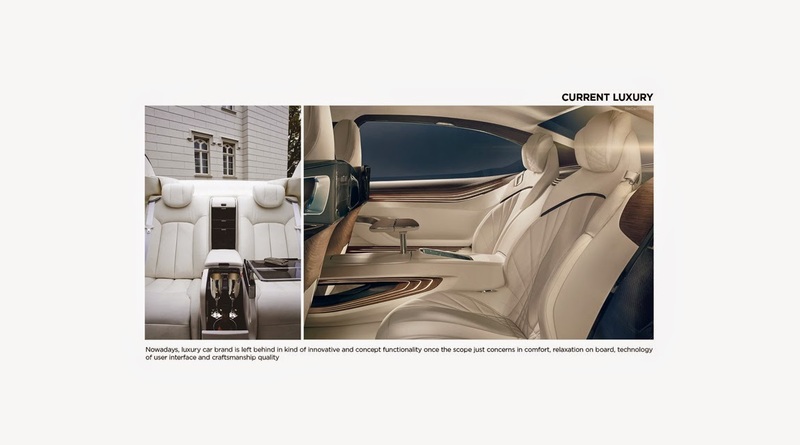 Nowadays, luxury car brand is slowly left behind in such of innovative and concept functionality once the scope just concerns in comfort, relaxation on board, technology of user interface and craftsmanship quality. 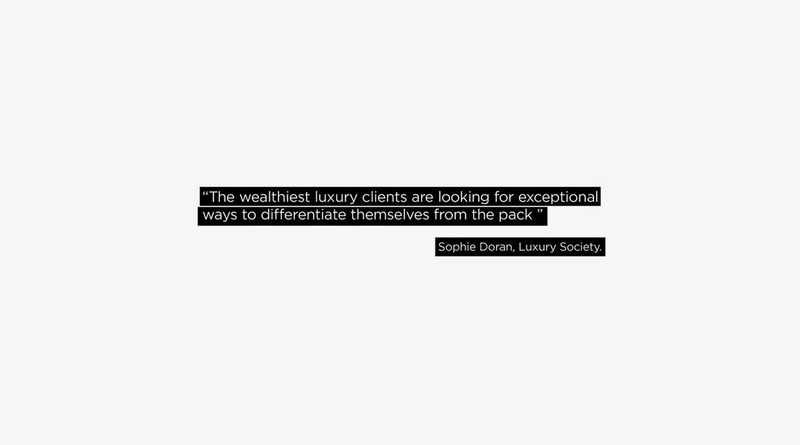 As wise quote from Sophie Doran, Luxury Society organisation said the wealthiest luxury clients are looking for exceptional ways to differentiate themselves from the pack. As a mentioned, it is no doubt that luxury car should go beyond than what we currently have now and able to inspire others to be unite as one. 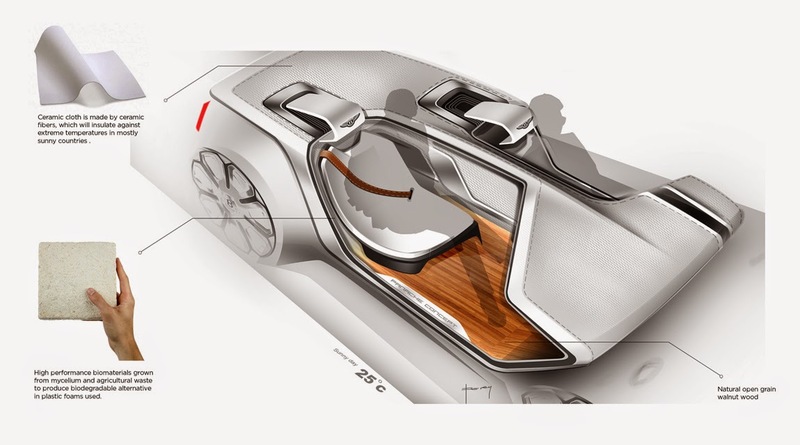 The future luxury of interior is a new vision of technology that not only expect of driving sensation, style and exclusivity. Otherwise, it is embodies of innovative, new modular of architecture, emotional and sustainability. In additional, I have divided for two elements which interpretation about future luxury. There are fashionable elegance and sustainable elements. Most of luxury customers are interest in stylish individualism and eye- catching elements that able to differentiate themselves from the society. 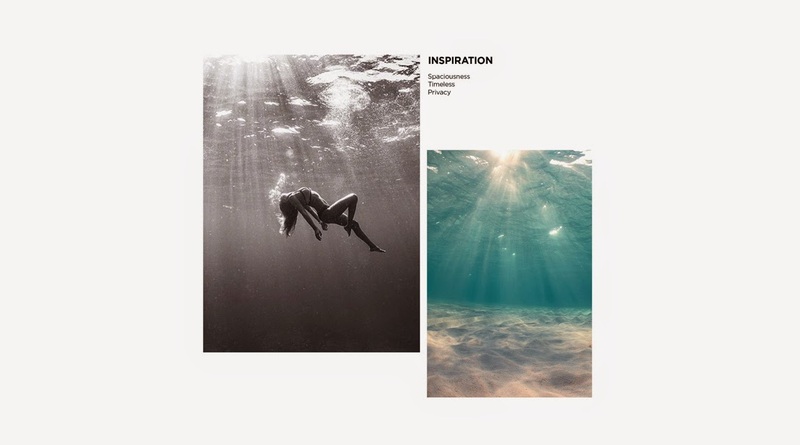 Moreover, based on Dr. Gjoko Muratovski, NZ Chairman thoughts, sustainable luxury offers people fulfilment of their individual desires by introducing a better consumer choices rather than making them feel guilty about society. These all element inspire me to create a new experience of travelling by express an autonomous luxury vehicle as the best solution towards sustainability. The interior concept is targets for exclusive customer that lives in sumptuous, wealthiest and superior in society. 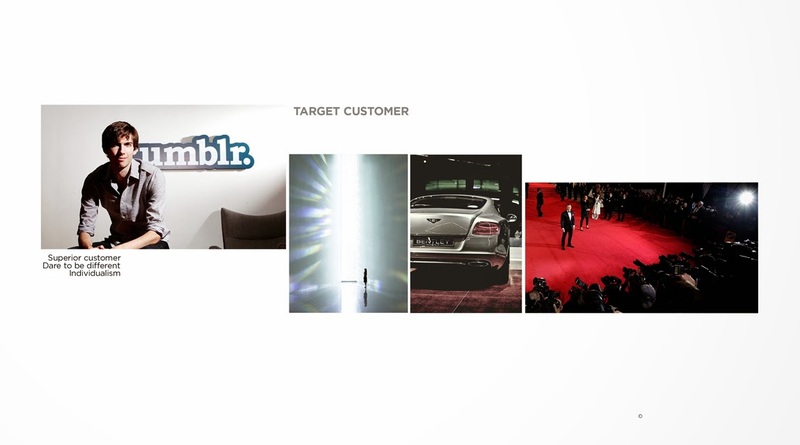 The target customer is daring to be a different by passionate to have a private vehicle and body guard as a driver that able to provide them a spacious space, safety and precious time while commuting. Technology And Functionality In Solar Roof Panel. 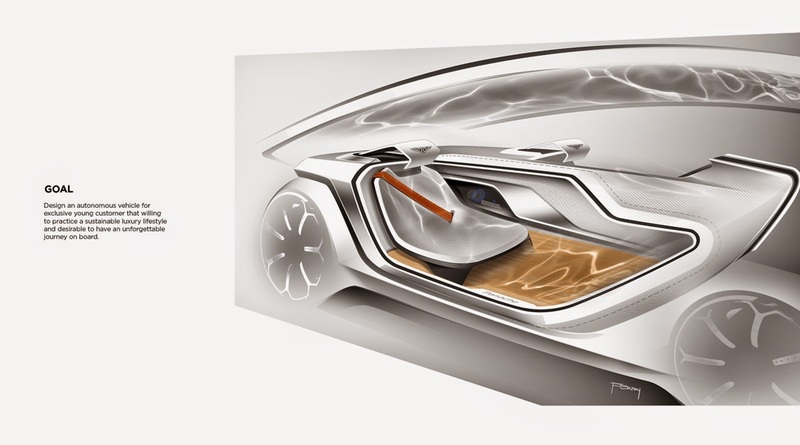 For solar panel features on the roof, I had proposed the sensation ocean features, including transparent organic solar panels with OLED (Organic Light Emitting Diode) lighting module which covered with a structure that lead daylight into the car and turns opaque when they need a darker space. 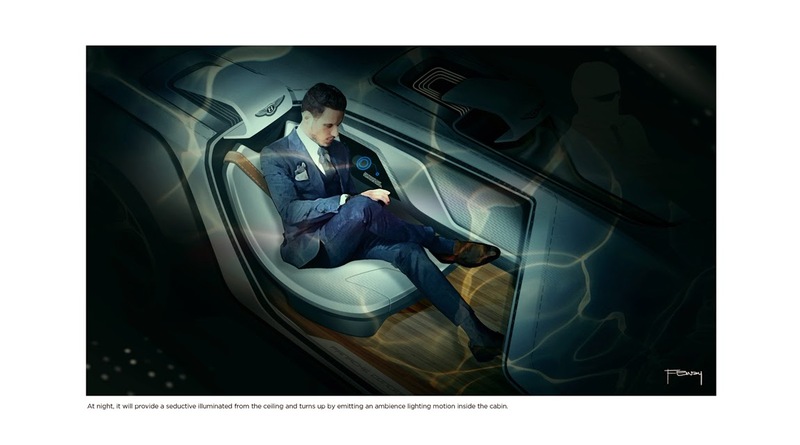 At night, it will provide a seductive illuminated from the ceiling and turns up by emitting an ambience lighting motion inside the cabin while having a pleasant journey. Luckily, it is consume less than half as much energy as conventional energy saving lamps. Fungal Foam is a high performance biomaterials grown from mycelium and agricultural waste to produce biodegradable alternative in plastic foams used. 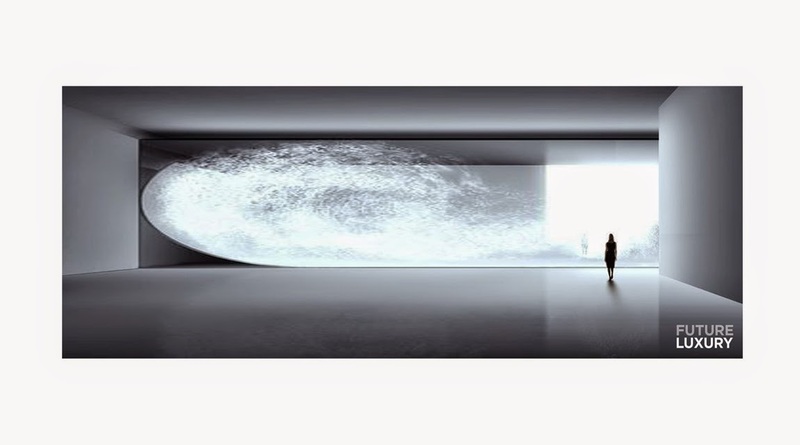 It’s made by mushroom from agricultural substances and bonded together with mushroom roots (called mycelium). 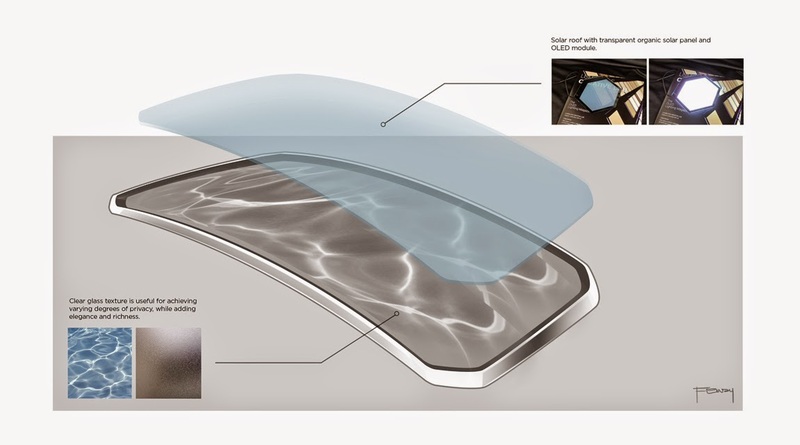 Recently, this material able to produce biodegradable substances for automotive bumpers, doors, roofs, dashboards and seats. Unlike plastics material, which come from unsustainable petrochemicals, mushroom materials produced by plant which based on farm waste and fully compostable. Besides, other material had been used is ceramic cloth which made by ceramic fibres to be insulate against extreme temperatures in mostly sunny countries. Eventually, clear glass texture which inspired by ocean wave is also useful for achieving varying degrees of privacy while adding elegance and richness and natural open grain walnut wood for effective floor panel and sustainability.